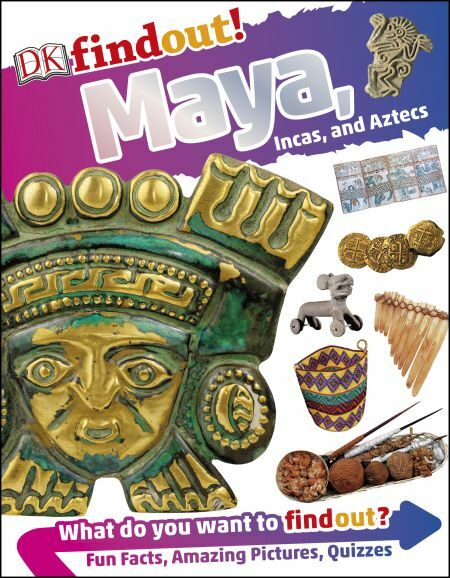 Find out all about the Maya, Inca, and Aztec empires in this dynamic book for kids ages 6-9. Jump back in time to discover the incredible empires of the Americas! From ancient civilizations up to the Spanish conquest, find out all about the Maya, Inca, and Aztec empires. Explore the cities of Chichén Itzá, Machu Picchu, and Tenochtitlán, learn the pictures of the Mayan language, unearth the history of chocolate, and find out how children who behaved badly were punished with chili peppers! Peer into the past with amazing cutaways, find out which god or goddess you would be with a fun quiz, and stock up on facts to amaze your friends with. Packed with information, artifacts, and colorful illustrations, DK findout! Mayans, Incas, and Aztecs brings their worlds to life.